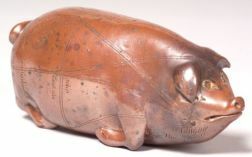 Save your search - find out immediately when "Pork" is available at auction! Madison, James (1751-1863) Ship's Papers Signed, 22 March 1809. Washington, George (1732-1799) Autograph Document Signed, Philadelphia, 29 September 1794. 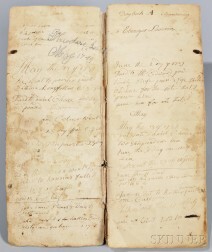 Account Book, 1757-1795, Manuscript Daybook of Ebenezer Loveren [aka Lovering] (1734-1808). Two 19th Century Painted Canvas Advertising Banners F.E. Aldrich, Beef, Pork & Lamb, approx. 26 x 68 in.